Secure your laptop to any surface with the laptop security lock. 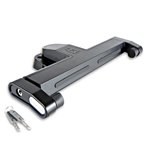 With just a squeeze of the lock arms your laptop will be protected without limiting its tilt, slide, or rotation. 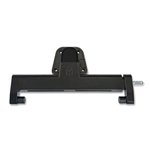 Working for laptops from 13.3” to 17”, laptop security locks are easy to install on any desk, workstation, or cart. 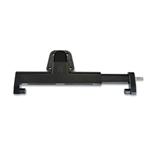 The all steel backbone and deflector plates will resist cutting, drilling, and prying to prevent accidental damage or theft. Unlocking the laptop security lock is fast and easy too, the arms spring open at the turn of a key. You need it. We know it.